I heard from my friends before on a miracle soap called as "CHT Sabun Ajaib". It said it can cure pimples, whitening your skin, act as antioxidants, remove dead cells, reduce whitehead and to cure those who had skin problems i.e. Eczema. Eager to know more about it, I took out the challenge to try it and taste it myself to see how miracle it is. Since it is made from 100% natural ingredients, 100% Halal, 100% KKM Passed and 100% Sirim Tested, I used it to wash my face instead of using normal facial cleanser and for bath instead of normal body shampoo. Read the Directions on how to use it so that you'll be able to enjoy the pleasure of bathing. 3. For acne, pimples, skins disease or problematic skin problem; 1st time lather, rinse off. Then 2nd time, wait for 1 to 2 minutes before rinse off. 4. Just for pleasure of bathing, lather and wait for 1 to 2 minutes before rising. 5. Do not mix with other cleansers with CHT products in order to get optimum results. The 3 in 1 soap where u can wash your face, your hair and your body together. Lots of testimonial proven by their existing customers that the magical soap can cure pimples, skin disease and reduce the allergies. I had tried it on myself for a week and I had noticed that my skin was whitening, flawless and glowing. I felt cold and fresh after using it that mades me enjoy my pleasure of bathing. My Little Angels love it too as it gave them a giggling cold effect. With magic soap, I no need to afraid of those chemicals that might harm my Little Angels' skin as children's skin was quite sensitive if we did not use the proper products. For more information on the magic soap, please check their FACEBOOK and their WEBSITE or you can whatsaap Mr Allan Goh at 017-6068277. He looking for business partners also to promote the soap. 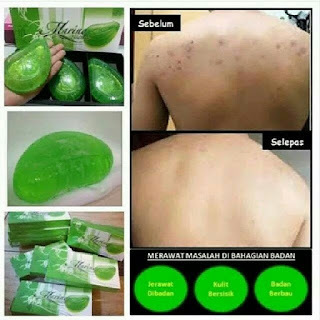 The miracle soap only cost at RM20 per piece and can used up to a month for a person. Try the magic soap now and feel the difference. Hi where can I purchase this product...& do they gives out sample for trying? I simply finish up pay attention to the lecture about flashbulb memory. It claims that the only real recollections we're to hold through years having a great realization are the one which personally resided through. Thus, you might never forget that which you used to do whenever your parents gave you the first dog like a present. Yet, you are more inclined to forget what you'll get in your last birthday. Youngsters are probably the most provocative creatures for that personal engagement within the momentum. So, I'd say you need to allow them to do their effort for your wedding to really make it unforgettable! Should you scared that they'll spoil it to intolerable condition, listed here are the guidelines how you can change their aggressive conduct in to the calm and productive - http://teriwallace.strikingly.com/blog/your-essential-wedding-planning-checklist. Enjoy the wedding! Thank you for sharing these wonderful works with us. I really envy you because I have terrible writing skills. When I read your essays, I'm imagining everything that you describe, but I will never be able to do the same. So I work with pipefy.com/blog/online-marketing/8-easy-steps-for-turning-internet-marketing-into-relationship-marketing/ to improve my grades and not to be complex about the quality of my essays. Of course, I'm trying to learn how to write beautiful essays on my own, but for now I want to order beautiful texts from professionals.